What's Your High Net Worth Personality? 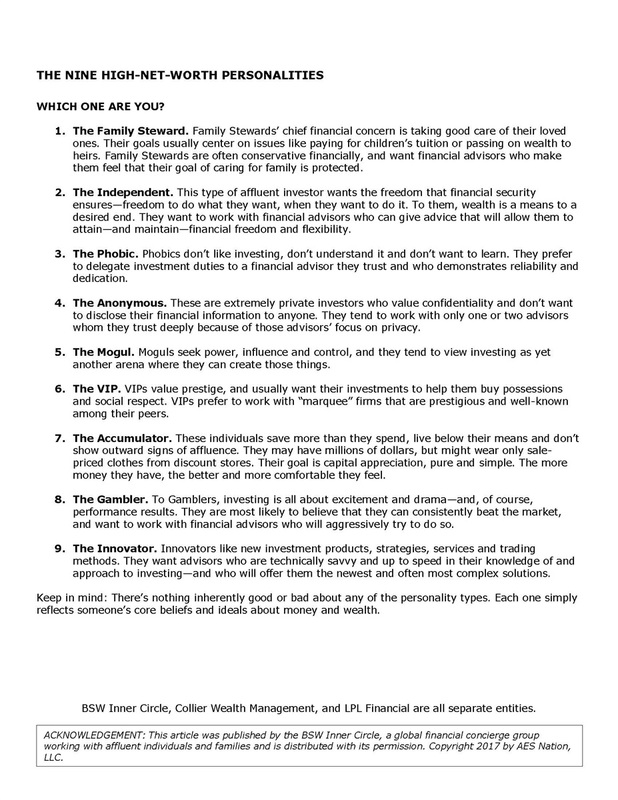 | Collier Wealth Management, Inc.
Did you know that there are nine high-net-worth personality types? These are unique sets of attitudes about money, wealth and why we make the financial decisions we do. You yourself may fall into one of the nine high-net-worth personality categories. 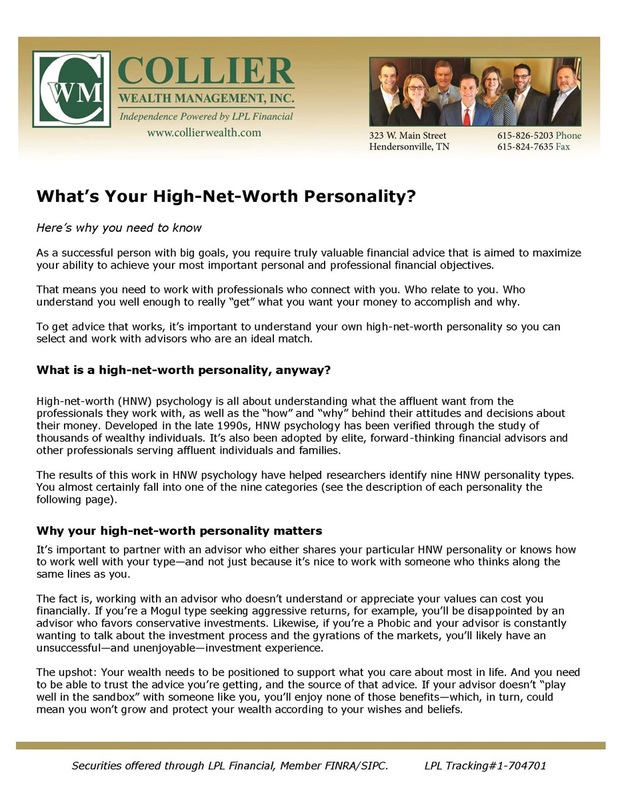 Request your copy of "What's Your High-Net-Worth Personality?"